Aloha! kkPacific offers the exciting experience of shopping a Polynesian trading post. Our store is designed as a collection of tropical jewelry awaiting discovery. We specialize in custom handcrafted jewelry featuring shells, shark teeth, coral, and natural materials of bamboo, coconut, & carved bone gathered from the Hawaiian Islands, South Pacific and the Asian rim. We also specialize in designing jewelry for network TV, Hollywood movies and celebrities. kkPacific sells tropical jewelry on line, on eBay, and to resorts and stores worldwide. We also sell wholesale directly from Maui, Hawaii. kkPacific is a family-owned company with the objective of providing jewels of the sea and land to people of all ages from all around the world. 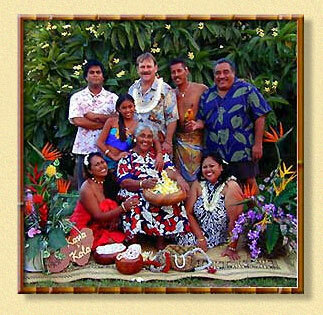 Through years of experience and from the knowledge and skills passed down from the "kupuna" (elders), Kana & Kala feel qualified to offer you a variety of unique Hawaiian and Polynesian jewelry. The KanaKala Pacific 'Ohana hale (Hawaiian home) is located in the sunny bayside city of Kihei on the island of Maui in Hawaii. Our "hale" lies at the base of the majestic Haleakala Volcano and is near the shores of the white sandy beaches of the blue Pacific ocean. At this magical place your jewelry is handcrafted by the Kana & Kala 'Ohana. The exceptional reputation of KanaKala Pacific is built on a foundation of unwavering commitment to quality, friendliness and fast service. "We make a sincere effort to ensure that our customers receive superior service with sincere Aloha." Mahalo for your visit! Thanks for your interest in KanaKala Pacific Trade & Services. We will be adding extra features over the next few months, so come back regularly. You can contact us at: info@kkpacific.com or by phone at (808) 875-9829. KanaKala Pacific Trade & Services's customer service goal is simple: We are committed to providing our customers with total satisfaction. Every time. Guaranteed. Please feel free to drop us a line to share your thoughts on the site. All comments are welcomed.